On Saturday August 14 2010 Michael Philip Wojewoda presented this show on www.radiocureradio.com. 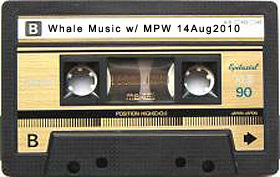 Michael was the producer of the Whale Music album and this show was dedicated to the vinyl pressing of the album on Six Shooter Records (Release TBD). The show is Michael spinning the album while reminiscing about the recording of the album.